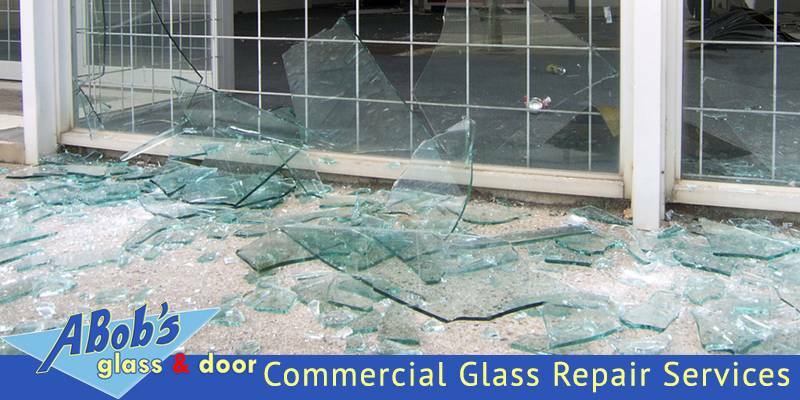 Are you looking for commercial glass repair services? When you are building a new commercial building such as a restaurant, hotel, etc., you need a way to invite your customers in. You want an appealing, open, and welcoming storefront. Glass doors and windows are perfect for creating a cheerful invitation to your patrons. Commercial glass replacement and repair is in high demand in Florida. That’s why we at A Bob’s offer board-up and highly-capable services for storefronts all across the City. With our on-call availability service, we send our technicians right away once you contact us about your commercial broken glass repair/replacement problem. 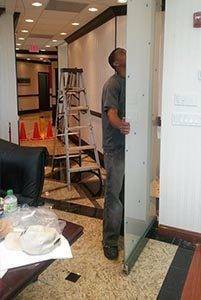 A Bob’s commercial glass services cover various glass repairs including installation and repair of storefront glass for office buildings, stores, and restaurants. Additional services include interior glass wall partitions, manufactured or custom mirrors, and shelving. When it comes to your glass repairing needs, we got everything covered for you. At A Bob’s, we are available 24/7 for our customers for any commercial glass repairing or replacement needs. Businesses look for services of a company which is reliable for their emergency glass needs. 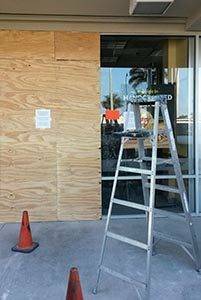 Therefore, we offer emergency glass repairing service to instantly repair/replace a glass window in case you need your store’s window glass repaired after a break-in or other accident. We are ready to help you with the aesthetics of your business. We respond quickly to emergency situations with our qualified repair team. We know very well that even a few hours of business down-time can be critical to your operations, that’s why we offer same-day glass replacement services. Whether you want a window repair after a break-in, or want a new glass window for your storefront, or simply want to redesign an elegant and modern lobby, choose A Bob’s Glass & Door Inc. for your commercial glass needs. Our technicians are highly skilled and experienced in projects ranging from renovations, new installations, and emergency repairs. We have been in this business for over 20 years and during this period, we have perfected our services to be as affordable and professional as possible. Our commercial glass repairing services cover restaurants, hotels, apartment, condos, as well as universities. Whether you are looking to renovate your entire office glass doors and windows or want to repair the glass on your storefront, we can help. At A Bob’s Glass & Door Repairs Inc., our top priority is to provide professional, reliable, and prompt services so that your customers and employees are not disturbed. If your business appreciates professional services, prefer small details, courtesy, and promptness, then you should definitely partner with us in your next project.